Stacy M. Brown | 5/16/2014, 11:34 a.m.
Wynola Cunningham vividly remembers her reaction more than 13 years ago when the local leadership of her sorority, Alpha Kappa Alpha, asked her to form a committee with a goal of helping senior citizens in Baltimore who might suffer from loneliness or isolation. Now, with the celebration of the 13th anniversary of the Ivy Center’s Eating Together Program for Senior Citizens, Cunningham, the program’s director, is proud of the accomplishments she and her sorority sisters have made. Mostly, she says that she is excited about the participation of the many seniors who come to the center every Monday and Wednesday for companionship, bridge and exercise classes, book club socials, board games, bingo, line dancing, and a hearty meal. 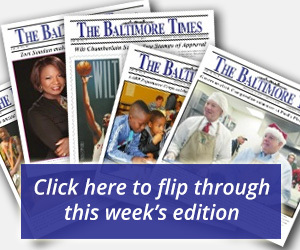 With the help of federal, state and local grants, as well as U.S. Department of Agriculture reimbursement for meals and contributions from some of the participants, the program is now one of 63 of its kind in Baltimore City, serving about 7,000 meals each week to seniors 60 years and older. Since the program’s inception, the Epsilon Omega Chapter of Alpha Kappa Alpha has co-sponsored Eating Together with the city’s Commission on Aging and Retirement Education, Cunningham said. “We wanted to provide our senior citizens an opportunity to fellowship with others, to make new friends, to feel at home, which is what they all say they feel like at our sorority house where the program is headquartered,” she said. Thus, the sorority’s chapter president Cardrienne Griffin and vice president Ellen Gonzales entered into contracts to implement the popular program. The Spring Fling was held this year on Wednesday, April 23, 2014 to celebrate the anniversary of the founding of the program. The event usually draws as many as 250 people, including seniors, sorority members, guests and local leaders, she said. The Ivy Center Eating Program meets each Monday from 9:30 a.m. to 2:30 p.m. and on Wednesdays from 11 a.m. to 3 p.m. About one hour is designated for a catered lunch. The menu consists of a balanced meal with at least one-third of the recommended daily nutritional needs, including soup, chicken, green beans and whole wheat bread. They are prepared and delivered by caterers and requests can be made for those with special dietary needs. When seniors aren’t eating, volunteers made up of sorority members plan and organize a series of activities, presentations and workshops. Courses in computer operations, Spanish, Bible study, crafts and games are also offered. Mostly though, the environment is conducive to a healthy life for those in their golden years, she said. For information on signing up, individuals can visit the Ivy Center at 3515 Dolfield Avenue in Baltimore on Monday or Wednesday. 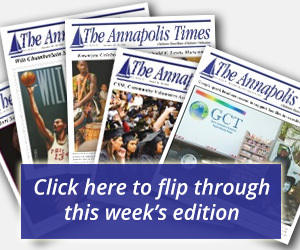 For additional information, call 410-367-6750.